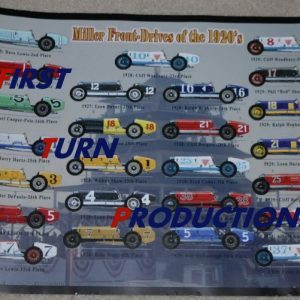 First Turn Productions is more than just DVD’s – We have the Miller Front Drives of the 1920’s poster available, a Coffee Mug featuring Indianapolis from 1915 and a Four Time Indianapolis 500 Winner Mouse Pad. 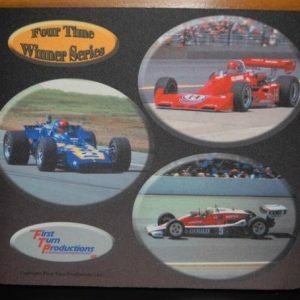 First Turn Productions is offering quality DVDs of auto racing home or amateur movies going back to the 1920's, especially the 1940's through the mid-1970's. 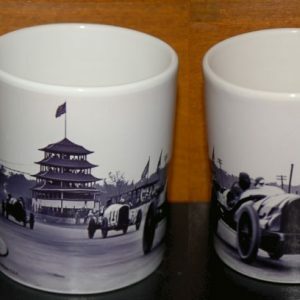 Color as well as black and white film is used with some never before seen color footage from Indianapolis and other tracks. 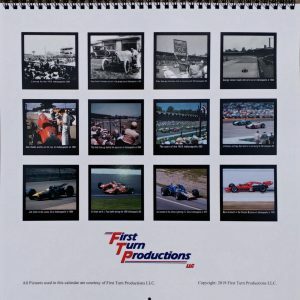 We're always interested in your auto racing home movies so contact us for more info or if you have any questions, please email info@firstturnpro.com We also offer transferring of your 8mm or 16mm film to DVD. 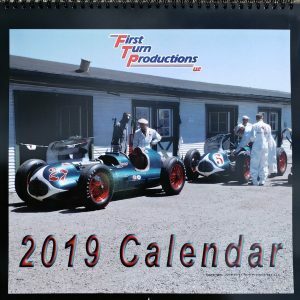 Contact us for details at info@firstturnpro.com.